Want to be part of the Diocesan Choir for the event? Contact Amber Larsen, 605-342-0507 or amber@cathedralolph.org, for rehearsal dates and times! St. Pio was born on May 25, 1887 in Pietrelcina, Italy, and baptized Francesco Forgione. He first expressed his desire for priesthood at age 10. In order to pay for the preparatory education, his father, Grazio Forgione, emigrated in the United States on 1899, where he worked for several years. His stigmata emerged during World War I, after Pope Benedict XV asked Christians to pray for an end to the conflict. Padre Pio had a vision in which Christ pierced his side. A few weeks later, on September 20, 1918, Jesus again appeared to him, and he received the full stigmata. It remained with him until his death on September 23, 1968. Pope John Paul II canonized him in 2002. In the Catholic Church, relics are physical objects associated with a saint or candidate for sainthood – part of the person’s body or something with which he or she was in contact. Relics are not worshiped, but treated with religious respect. 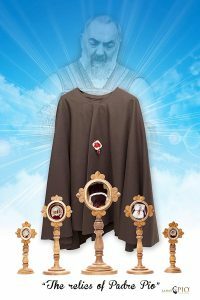 Touching or praying in the presence of such an object helps a faithful individual focus on the saint’s life and virtues, so that through the saint’s prayer or intercession before God, the individual will be drawn closer to God. The Saint Pio Foundation is a premier national charitable organization that promotes awareness of Saint Pio and his mission by working with institutions and individuals who share the same vision to serve “those in need of relief of suffering.” Funds raised by the Saint Pio Foundation are used to provide grants to American Catholic healthcare, educational, social, religious, and cultural partner organizations. 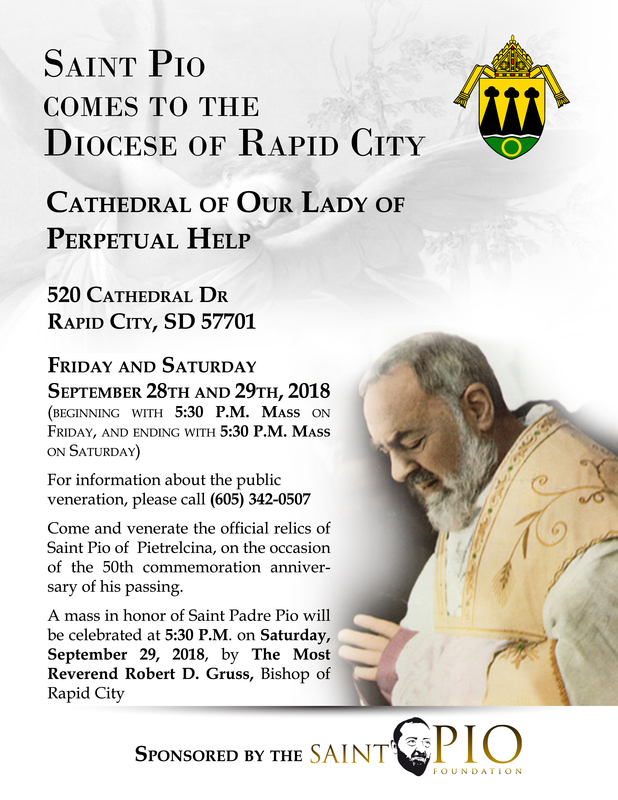 More information about Saint Pio Foundation can be found athttp://www.saintpiofoundation.org.